Genesis 11:1-9 is the appointed reading for Pentecost in the One Year Lectionary and Year C of the Three Year cycle of readings. It tells of the confusion of tongues at Babel. Pentecost shows God undoing the curse of Babel as He brought the Gospel to disparate tongues through the Apostles’ preaching. This hymn tells the story of Genesis 11 and continues it into the New Testament. Human disunity — a sign of our lack of oneness with God Himself — is undone by Christ’s suffering, death, and resurrection. As we are made one with God, so now God also works to unite the world’s disparate tongues into a united voice of faith and praise. I wrote Upon the Plain of Shinar in the LM (88 88) meter but it also works as an LMD hymn. Therefore, I’ve provided versification and suggested tunes for each form and a link to a copier-ready PDF with both LM and LMD included. LM (88 88) suggested tunes include Gottlob, es geht nunmehr zu Ende, Herr Jesu Christ, O Heilige Dreifaltigkeit, Winchester New, and Wo Gott zum Haus. The sinful heirs of Adam’s fall. 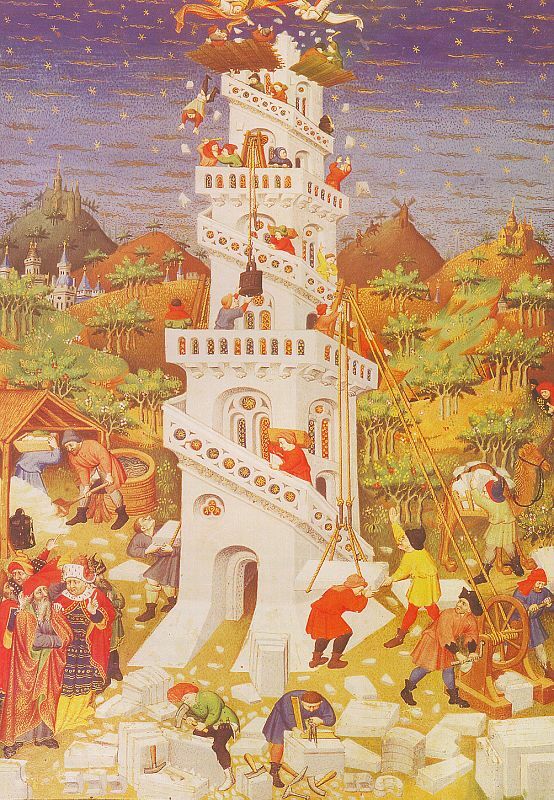 To raise a town with tower tall. Shall serve as beacons for our race. The Lord condemned: “It shall not be. You think yourselves to be like Me. Has led you to deep shame and woes. Now turn, O neighbors, into foes. What each the other comprehends. Its full and fell intent achieved. And foreign tongues were ill-received. The Son of God took human frame. He reconciled us in His name. To God’s right hand, His heav’nly home. To grow and counsel Christendom. “Believe in Christ; be whole again. LMD (88 88 D) suggested tunes include O Grosser Gott and Tallis' Lamentation. Click for a copier-ready PDF in LM and LMD. Walter Snyder is a Lutheran pastor, conference speaker, author of the book What Do Lutherans Believe, and writer of numerous published devotions, prayers, and sermons.